An Edmonton nurse was placed under house arrest Tuesday after admitting in court to stealing $43,000 from her mentally ill brother’s bank accounts. 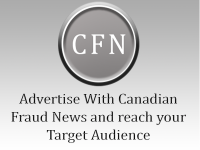 Lorelle Gilbert, 64, was handed a 12-month conditional sentence to be served in the community after pleading guilty in provincial court to nine counts of fraud under $5,000. Judge Joyce Lester told Gilbert the “only thing saving her from going to jail” was that she is repaying the money she took. Crown prosecutor Brian Caruk told court Gilbert had power of attorney over the affairs of her brother, Stanford Hauptman, who suffers from schizophrenia and obsessive compulsive disorder. Read the full article at Canoe News.